Well I got that hand, and no, I had not placed that bet. So everyone in the casino, the cocktail lounge next to it, etc, came over to see it. Sri, the casino manager even took a picture because he wanted to prove that it CAN happen. I am sure everyone was thinking “why didn’t that stupid woman have a bet on jolly jacks???”. So I am apparently now famous (not in a good way) throughout the ship and I still don’t bet on jolly jacks. Also, I even lost my blackjack bet on the hand since I had 20 and the dealer had blackjack. 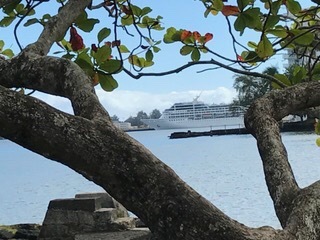 Good thing the casino is closed for 2 nights as the regulations in Hawaii prohibit it from being open while in Hawaiian waters and we will be here for 2 more days. 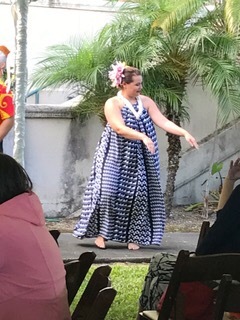 Anyway, on to the day in Hilo! 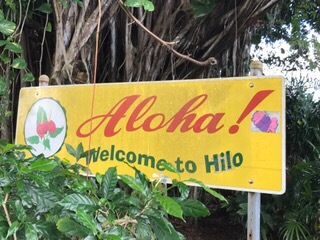 We have been to the big island of Hawaii twice before and to Hilo one of those times. It is on what is called the Big Island, the Volcano Island and the Orchid Island. 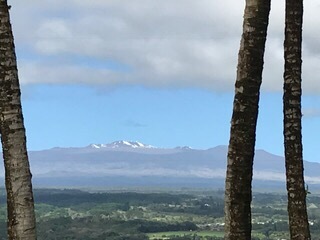 Mauna Loa and Mauna Kea are the large mountains and they are snow covered at the top. There are world renowned observatories up there at 14,000 feet. This is the wetter side of the island and there are many waterfalls and even rainforests here. 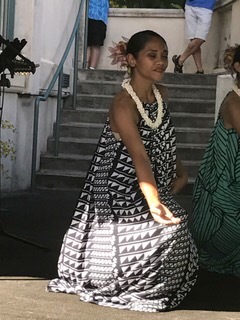 Hawaii produces most of the world’s macadamia nuts and the Mauna Loa visitor’s center, which we have visited in the past, is both interesting and the samples very tasty! 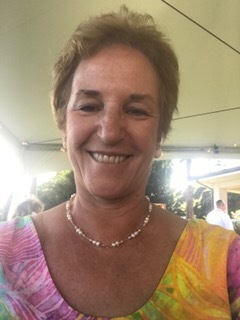 Spam was brought to the islands for servicemen during WW II as it was not perishable and lent itself to the cuisine here when introduced to the locals. Thanks Martha and Sandy for more info on that. When I said I didn’t know why, I meant because I despise Spam! 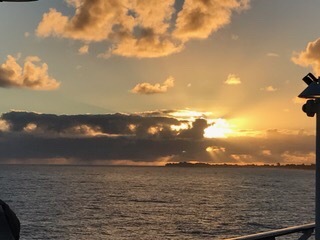 In the morning, we had breakfast while watching this sunrise. 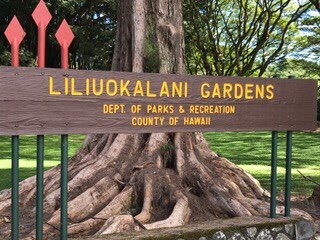 We then walked to the Lili’uokalani Gardens which were named after Queen Lili’uokalani who donated the grounds. 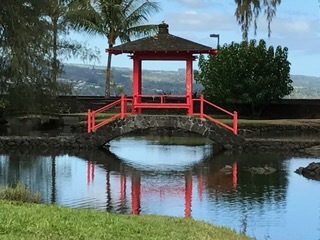 It is known as one of the best examples of an Edo-style garden outside Japan and features pagoda, footbridges, koi ponds, statues and a traditional tea house. All of this with a wonderful view of the ocean. We loved our visit there. 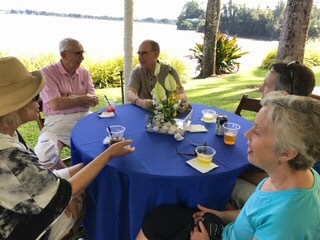 In the afternoon, we were treated to an Elegant Hilo Bay Affair, an Around the World Cruise Event. It was at the Wainaku special events center. 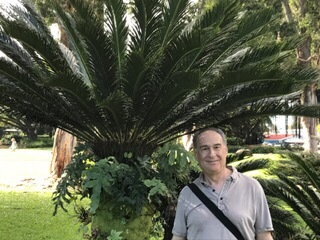 It was to be at Volcanos park but they had an eruption and we could not go there. We had open bar and an Elegant Pupu menu. 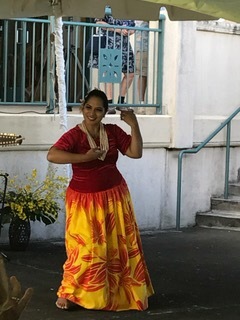 We were entertained by music, storytelling and the winners of the Merrie Monarch Festival which is known as the world’s leading celebration of hula. It was a gorgeous day and the setting was under tents at the ocean’s edge. 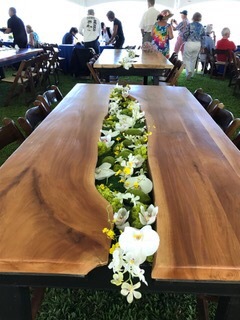 All of the tables had magnificent orchid arrangements. All. 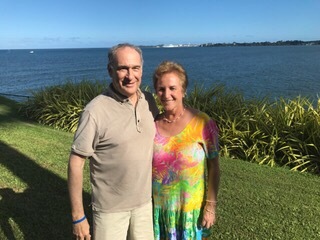 in all, a lovely day in Hilo. 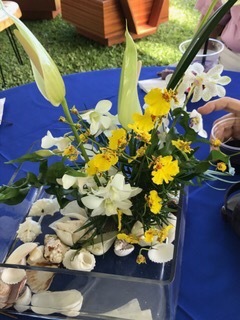 I don’t know what was the best… The scenery, the event, the gardens, land, no rocky waters or 4 bars on the cell phone!! It looks lively. Definitely on our bucket list. Live to Norm.